Planning a visit to Lake George without a car? No problem! The region features a wide range of transportation options to get you where you need to be any time of the year. Whether you're traveling to your Lake George hotel from an airport, or you're looking for a ride after a fun night in the village, here are the transportation services you should know about. If you don't have a ridesharing app on your phone, or you prefer the tried-and-true method of calling a local taxi company and scheduling a specific pick-up time and location, then you're in luck. There are a few reliable and experienced taxi companies that operate in Lake George and much of the surrounding area. 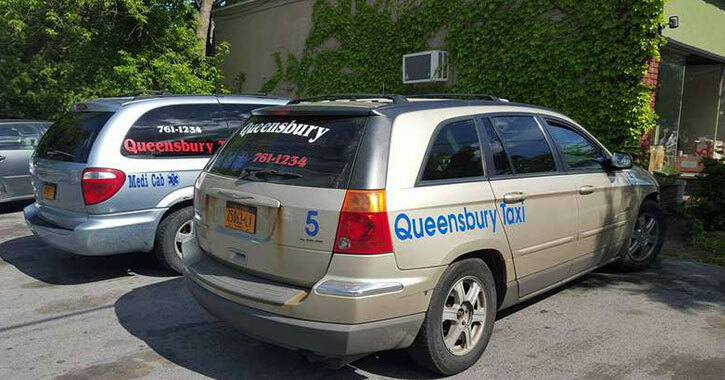 Based in the Glens Falls Region, Queensbury Taxi provides efficient transportation anytime, anywhere, and any distance! 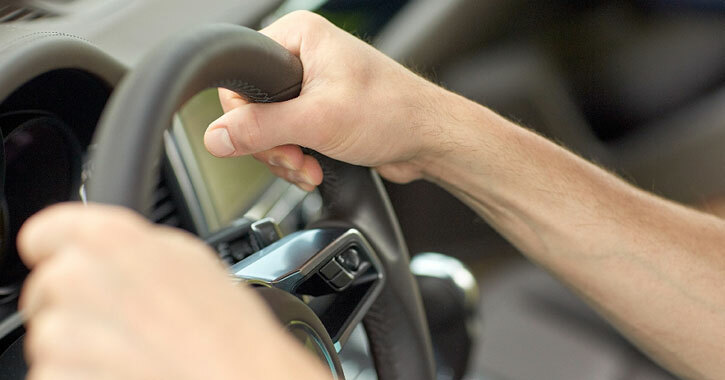 You can be sure your ride will be in a clean and safe car with a professional driver. Give them a call at (518) 761-1234 to schedule your ride. For over 40 years, Tri County Cab has been one of the region's premier taxi companies, servicing Lake George, Glens Falls, Saratoga Springs, and the rest of the Capital Region. They are known for featuring the largest fleet in the area and having the cleanest cabs around. They offer three phone numbers that you may call: (518) 792-1234, (518) 747-9000, and (518) 668-9600. For long-distance travel to or from the Lake George Region, you should consider hiring a car/shuttle service. If Albany International Airport/Albany-Rensselaer Amtrak Train Station is your destination or pick-up spot, then Albany Airport Transportation Services is one of the top choices. This airport transportation/shuttle service/car service provides transportation to or from Lake George, Bolton Landing, Queensbury, Schroon Lake, Warrensburg, Lake Luzerne, Ticonderoga, and other surrounding communities. Their cars are clean, safe, affordable, and readily available. For a price quote, you may call (518) 888-6449. Around the summer of 2017, ridesharing services Uber and Lyft made their highly anticipated arrival in Upstate NY, including Lake George and the Capital Region. Since then, residents and visitors have been able to take advantage of the conveniences of ridesharing. To get started, all you have to do is download the Uber or Lyft app, create an account, and then add your preferred payment method. Once that's complete, you can begin using the ridesharing service to get picked up at your location and driven to your destination. Each app tells you the approximate pick-up time (beginning with the nearest available driver) and the estimated fare for the trip. The estimated fare may change if a different destination is chosen, if there are extra stops along the route, or if the trip takes a lot longer than expected. Payment for the trip is made when you reach your destination. Those are the basics of Uber and Lyft, and now we'll break down some of the key elements of both. One of the main differences you'll notice between Uber and Lyft is the names of their most common services. For example, when you select a ride with Uber, you can choose between UberX (1-4 passengers) or UberXL (1-6 passengers). UberXL costs more because the vehicle can accommodate extra passengers. In the same vein, Lyft offers the regular Lyft service (1-4 passengers) and Lyft Plus (1-6 passengers). Lyft Plus costs more for the same reason. In addition, Uber, Lyft, and other ridesharing services are known for featuring surge pricing. What this means is that during busy or high-traffic times, such as holidays, prices for rides may increase based on a surge rate. 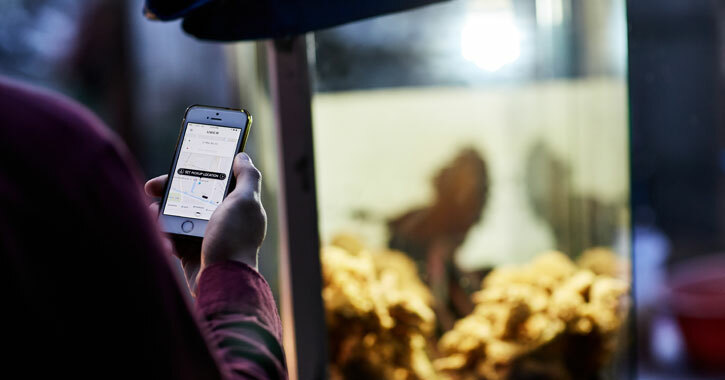 Lastly, while you can schedule a ride with both, Uber includes an option to schedule a ride 15 minutes to 30 days in advance while Lyft includes an option to schedule a ride up to 7 days in advance. Please note that scheduled rides may be subject to availability and are not offered in all regions. 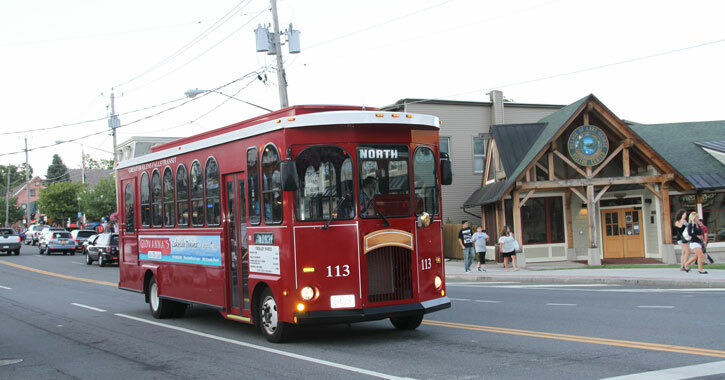 During the summer, the Greater Glens Falls Transit (GGFT) operates a trolley service in the Lake George area. Depending on where you want to go, you can choose between the South Service and the North Service. The South Service carries passengers from Beach Road in Lake George south to Glens Falls, which includes various stops in between. The North Service carries passengers from Beach Road in Lake George north to Bolton Landing and Warrensburg (a new addition beginning in 2017). Red GGFT trolleys operate seven days a week during the regular trolley season. A limited fall trolley service is typically offered from Labor Day through Columbus Day Weekend. Since the costs are minimal to take the trolley and transfer between them, it's a convenient form of transportation in and around Lake George. However, you'll have to be aware of the trolley schedule if you want to catch a ride.